Spelunky is a cave exploration game from classic platform games and rogue likes, where the goal is to grab as much treasure from the cave as possible. Every time you play the cave’s layout will be different. Use your wits, your reflexes, and the items available to you to survive and go ever deeper! Perhaps at the end you may find what you’re looking for. 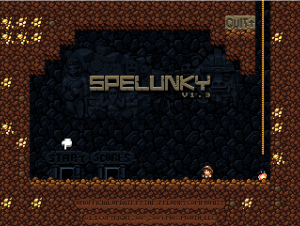 Spelunky can be worked for both Windows and Mac OS X.